A legal representative for the imprisoned drug lord is arguing that he meets the description of a criminal alien to the letter and should be deported immediately. In the light of Donald Trump’s calls for all Mexican nationals engaged in crime to be sent back across the border, some of the most notorious figures see unexpected opportunity. Joaquin ‘El Chapo’ Guzman, leader of the Sinaloa cartel who was extradited to the United States to be tried on drug smuggling, money laundering and other charges, is petitioning the government to be sent back to Mexico. The message was sent through his lawyer, Jose Luis Gonzales Mesa, who was seen outside of the Attorney General’s office in the Mexican capital with the sign reading: ‘Mr. Trump, deport the illegal and criminal Chapo Guzman’. 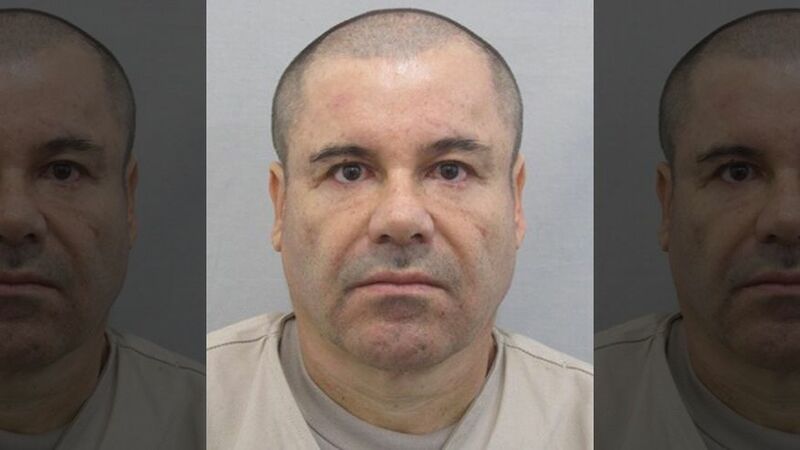 It’s not all that hard to deduce why the ultra-rich drug kingpin would be happy to be south of the border once again – he spectacularly escaped from Mexican prisons not once but twice in the past. He was captured in late 2016 before being extradited to the U.S. in January this year, and is currently detained in a facility located near the U.S. – Mexican border. He had far less success breaking free from the clutches of American law enforcement, since his connections have limited value outside his home country. Lacking a way to walk out of his cell, he is turning to the original tactic of appealing to the President. Of course, freeing cocaine tycoons wasn’t what Donald Trump had in mind when he proclaimed he will rid the country of any illegal immigrants who committed crimes. His hard line rhetoric might be taken out of context here, but it’s hard to argue that El Chapo clearly fits the profile of an unwanted foreign citizen that Trump constantly raves about. The lawyer for Mr. Guzman claims that the Mexican government was in violation of the law when it sent his client to be tried in the U.S., which would factually make his stay illegal and qualify him for deportation. Based on its general attitudes, U.S. government is highly unlikely to take the demand too seriously, regardless of Trump’s verbal adventures. El Chapo is probably looking at a very long sentence in a maximum security prison and there isn’t much that can be done about it. He at least deserves some points for creativity for this legal wrangling, even if it’s destined to failure from the start.